Yep … play time … two words. 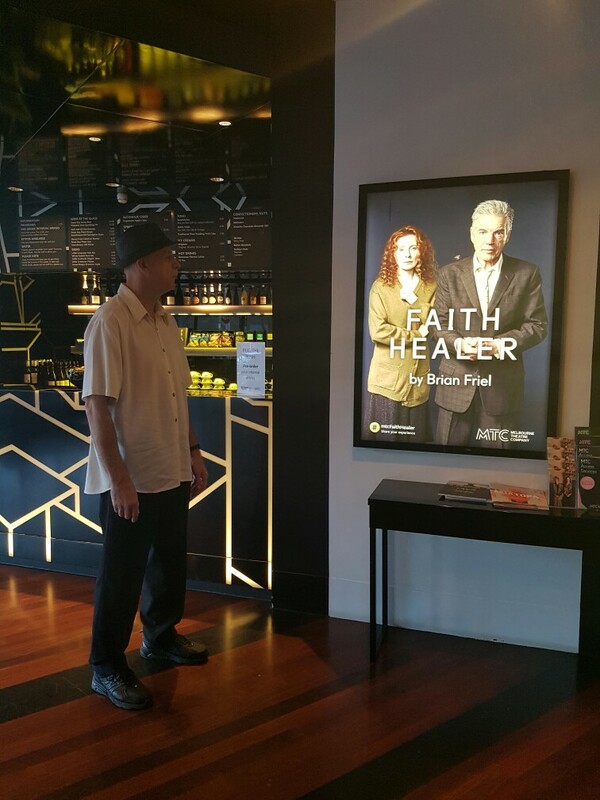 Though I guess it was playtime too … :) Thoroughly enjoyed Faith Healer, written by Irish playwright Brian Friel back in 1979 during The Troubles. MTC put on a fantastic production, directed by Judy Davis. A minimalist stage with only a few props allowed the audience to focus on the poetry and emotional power of the script – a fascinating woven tapestry of four independent but linked monologues. Strong performances from all three actors beautifully delivered the humour and deep tragedy of the story. Colin Friels as the troubled, yet charismatic faith healer, Alison Whyte as his devoted wife/mistress and Paul Blackwell as his long-suffering manager … all were excellent and often nuanced performances..